The Daily Nails #2 | Becky Alyssa's Beauty Box. 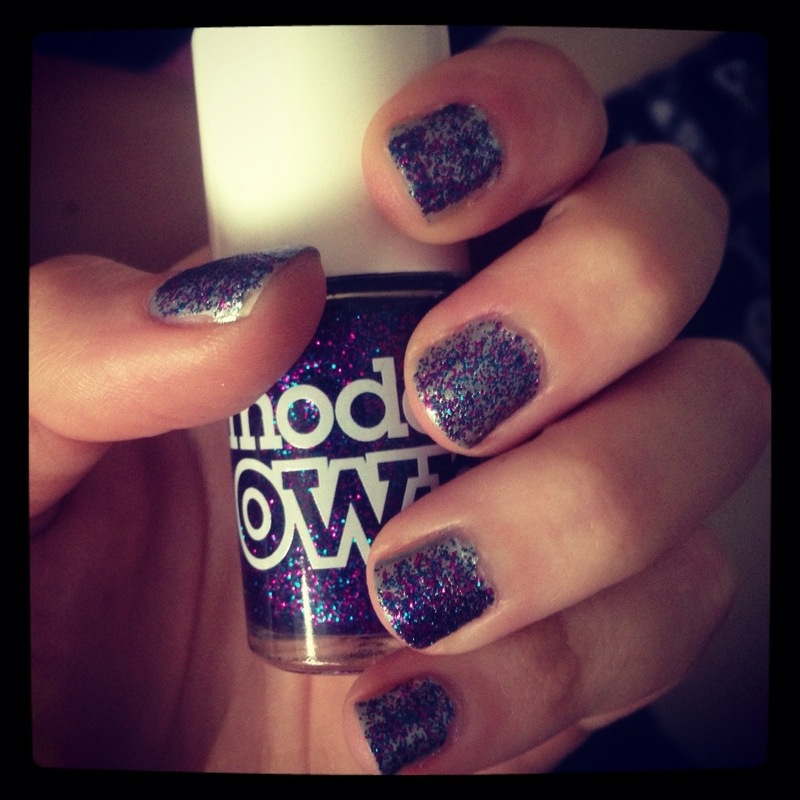 Topshop – Sea Mist with Model’s Own – Disco Mix on top. I’ve been lusting after this Model’s Own shade for ages and decided I had to have it when I spotted it on Amazon – much more convenient than going to Boots and discovering it’s sold out again! This combination is perfect for fans of seriously shiny nails as Sea Mist is a super-pigmented almost-chrome silver with hints of green. Disco Mix is a versatile glitter shade with plenty of glitter in the formula; however it can be difficult to apply evenly as the glitter makes the polish slightly thick and lumpy, hence the slight mess & unevenness. I only applied one coat as it took a while to dry & as you can see this is seriously glittery! With a good top coat (Collection 2000’s is great) you can get at least a couple days of wear from this shimmery manicure. I’ve already received the glittery pink shade of MO to try out next, currently imagining the possibilities! This entry was posted in Uncategorized and tagged nails. Bookmark the permalink.